Brian Gale Surveyors are a well established firm of Chartered Surveyors who will provide an efficient and professionally presented Survey and Valuation service for all types of property. From our premises in Reigate, which we have operated from for 25 years, we mainly cover London, Surrey and Sussex, and are also happy to assist clients further afield. Established in 1985, we are an independent surveying practice based in Surrey. Our expert team consists of Building Surveyors and Valuation Surveyors who are experienced in working with all types of property. Period properties and historic buildings are a particular specialism. From property valuations to Full Building Surveys, Brian Gale Surveyors are the local experts. Our Surveyors live and work in Surrey, meaning they know the local area and have a thorough understanding of the issues that affect properties from Guildford to Leatherhead, Dorking to Haslemere. All our Surveyors are members of the Royal Institution of Chartered Surveyors (RICS), are RICS Registered Valuers and regulated by RICS guidelines. If you need advice regarding a property in Carshalton, Kingston or Redhill – perhaps to discuss boundary disputes or party wall issues, lease extensions or expert witness reports – please do not hesitate to contact us for prompt and professional advice. 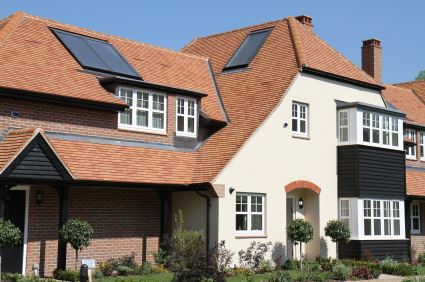 From probate valuations to historic building advice in Surrey, Brian Gale Surveyors have the expertise and experience to provide valuable advice and guidance for all types of property.